Lots of college football fans say that the polls don’t really matter, can’t really matter, because they don’t accurately reflect what’s happening on the field. What were those voter-computer-robots watching, anyway? Were they even watching? 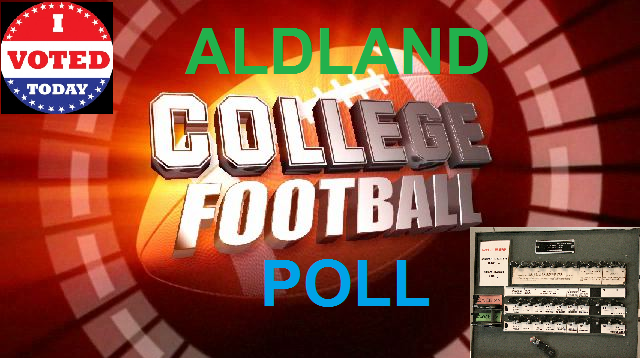 These concerns don’t apply to ALDLAND’s College Football Poll, which will do you one better than reflecting reality, though it does that too: How about affecting reality? Check out what happened to Florida QB Jeff Driskel after he was the winner-loser of week two’s poll: out for the year. Cast a vote of consequence below.